Our lab wrote a review on the genes and genomic processes underpinning the social lives of ants. 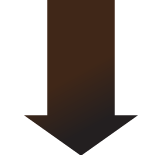 Downloads page has been restructured to group data by family, species, and data type. New genome FASTA and GFF files mirrored from NCBI. New transcript sequences assembled from RNASeq data for 17 ant species from Morandin et al (in press). Added Cardiocondyla obscurior genome, predicted proteins and transcripts to BLAST and downloads. To facilitate day to day management, fourmidable is now hosted in Yannick's lab at Queen Mary University of London. Get in touch if anything feels like it might be broken. Added genomic sequence of ants that are not part of a genome projects to BLAST. Usability upgrades for the BLAST interface. S. invicta protein sequences in BLAST output are now automatically linked to their corresponding Uniprot page for reference. Camponotus & Harpegnathos mRNA (assembled from short EST reads) added to BLAST. Fourmidable is now antgenomes.org. And web addresses to blast ant genomes (http://www.antgenomes.org/blast) and download data (http://www.antgenomes.org/downloads/) are now simpler. Old server replaced by a new one. BLAST searches should be much faster! BLAST search features as "assisted" user interface that helps you choose which blast types and databases are possible with your query. Added sequence from the Acromyrmex echinatior leafcutter ant genome to download and blast. Sleek new BLAST interface to search ant genome sequences. Solenopsis invicta red fire ant, Pogonomyrmex barbatus harverster ant and Linepithema humile argentine ant genomes released online in PNAS. Corona et al (2013) Vitellogenin underwent subfunctionalization to acquire caste and behavioral specific expression in the harvester ant Pogonomyrmex barbatus. Plos Genetics. Chorev & Carmel (2013) Computational identification of functional introns: high positional conservation of introns that harbor RNA genes. Nucleic Acids Research. Ometto et al (2012) Disruption of gene expression in hybrids of the fire ants Solenopsis invicta and Solenopsis richteri. Molecular Ecology. Ingram et al (2012) The molecular clockwork of the fire ant Solenopsis invicta. PloS One. Zhou & Cahan (2012) A Novel Family of Terminal-Repeat Retrotransposon in Miniature (TRIM) in the Genome of the Red Harvester Ant, Pogonomyrmex barbatus. PloS One. Hunt (2011) Molecular evolution in the social insects. PhD Thesis. Piednoël et al (2011) Eukaryote DIRS1-like retrotransposons: an overview. BMC Genomics 12:621. Hunt et al (2011) Relaxed selection is a precursor to the evolution of phenotypic plasticity. PNAS. Gotzek et al (2011) Odorant Binding Proteins of the Red Imported Fire Ant, Solenopsis invicta: An Example of the Problems Facing the Analysis of Widely Divergent Proteins. PLoS ONE. 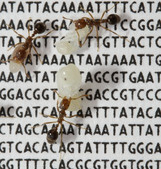 Wurm et al (2011) The genome of the fire ant Solenopsis invicta. PNAS. Ometto et al (2011) The evolution of gene expression in fire ants: the effects of developmental stage, caste, and species. Molecular Biology and Evolution. Hoffman (2010) Ant venoms. Current opinion in allergy and clinical immunology. Schlunz & Crozier (2010) Molecular and chemical immune defenses in ants (Hymenoptera: Formicidae). Myrmecological News. Wurm, Wang, Keller (2010) Changes in reproductive roles are associated with changes in gene expression in fire ant queens. Molecular Ecology. Parker (2010) What are social insects telling us about aging? Myrmecological News. Wurm & Keller (2010) Parasitoid Wasps: From Natural History to Genomic Studies. Current Biology. Smith et al (2009) Ant genomics: strength and diversity in numbers. Molecular Ecology. Torres et al (2013) Transcriptome Analysis in Venom Gland of the Predatory Giant Ant Dinoponera quadriceps- Insights into the Polypeptide Toxin Arsenal of Hymenopterans. PLoS One. Oxley et al (2013) The Genome of the Clonal Raider Ant - Cerapachys biroi. Current Biology. If you need help or advice, please get in touch: y dot wurm at qmul dot ac dot uk. In an emergency, Anurag Priyam may also be able to help.